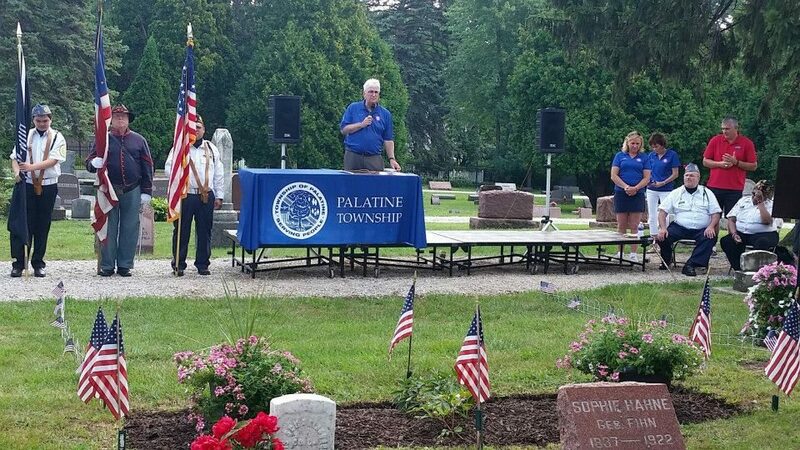 On Sunday, August 16th a ceremony was held at Hillside Cemetery honoring the accomplishments of the Grand Army of the Republic (GAR). The GAR was formed after the Civil War, and helped promote resting homes for soldiers and fought for their pensions. The Palatine Township Food Pantry and PATH each recently received a check for $5,060. 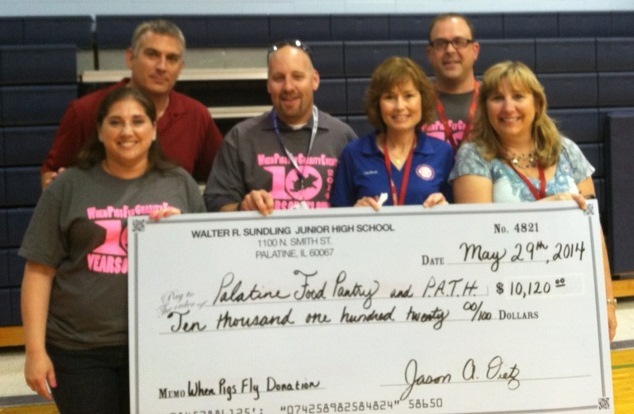 The funds were raised by students at Walter R Sundling Jr High during their 10th annual "When Pigs Fly" event. 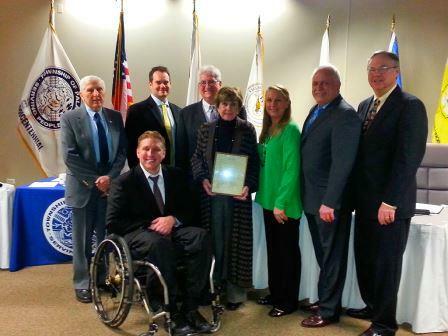 At the March 31, 2014 meeting, the Palatine Township Board passed a resolution honoring the late David Regner for his many years of service to the people of Palatine Township.